Huge e.l.f haul with 60% off and free shipping! Well, I finally succumbed and made my first ever e.l.f cosmetics order! 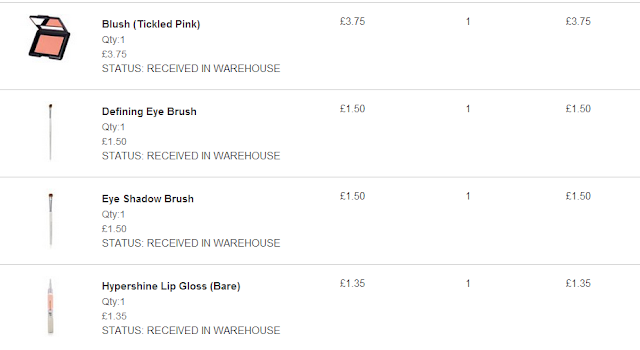 I think I did it at just the right time too as there was a huge 60% off everything and free shipping on orders over £30! 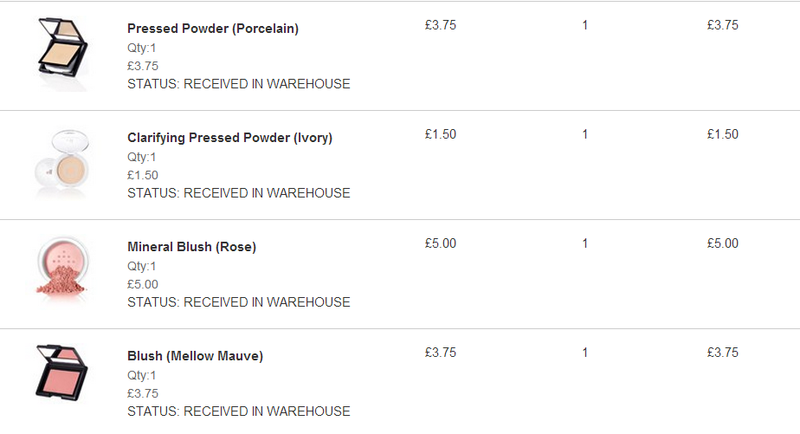 I ordered 27 items from the basic, studio and mineral lines and my order came to a total of £30.28 with free P&P. 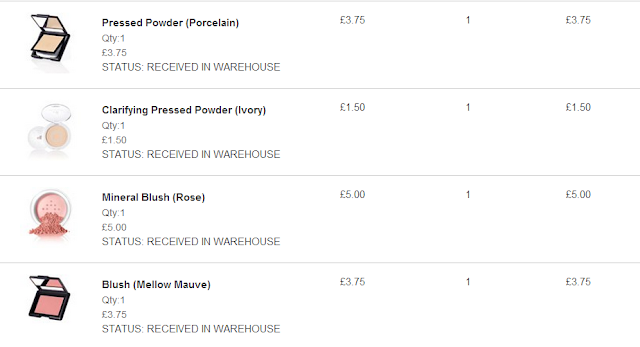 This worked out at about £1.12 per item which I think is pretty good value! 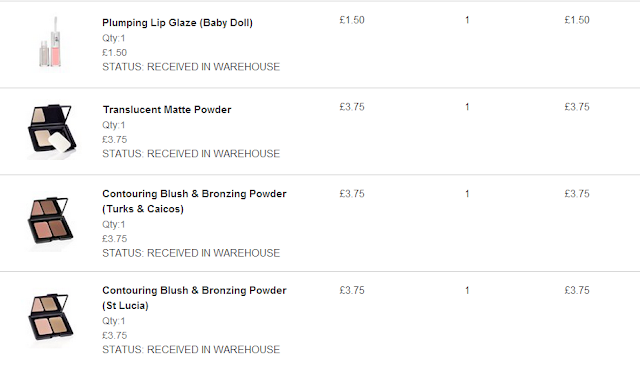 I had been put off making an e.l.f order for a while because a few of my favourite beauty bloggers had noted that the quality of e.l.f products can be very inconsistent and therefore you never know whet you're getting. 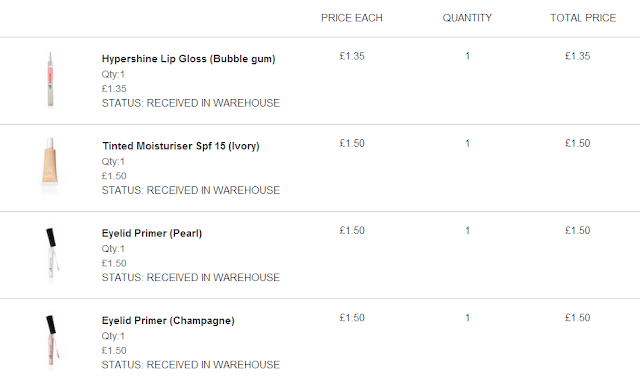 But curiosity finally got the better of me and after seeing so many people rave about e.l.f products, I decided it was time to give them a try! 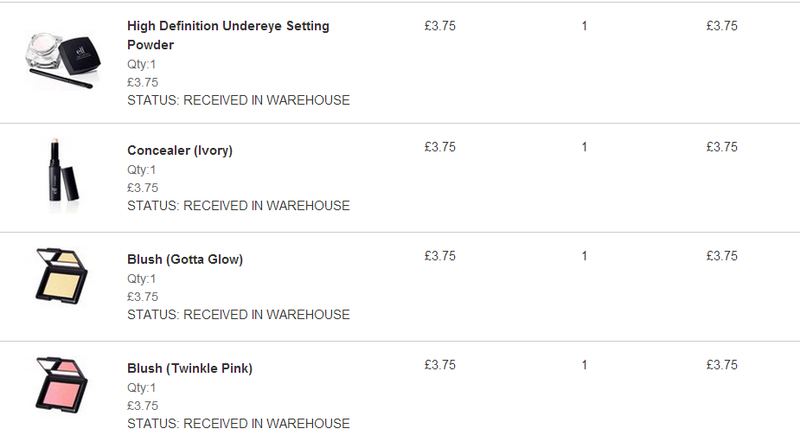 e.l.f frequently have some very good offers on via their UK website and it's not uncommon to find they have 50% off everything, which is always quite exciting. The only downside to this is because there are a lot of people taking advantage of the great offer, things do go out of stock quite quickly which can be disappointing but there are a lot of different products on the website to choose from. I believe here in the UK we have to pay slightly more for our e.l.f products. The basic line in the U.S retails for $1 an item whereas here we usually have to pay £1.50 per item. Plus there is the fact that we can only order e.l.f online as it isn't stocked in any shops like it is in the US. Despite all of this, e.l.f remains popular among people here in the UK and I guess there must be a reason for that. 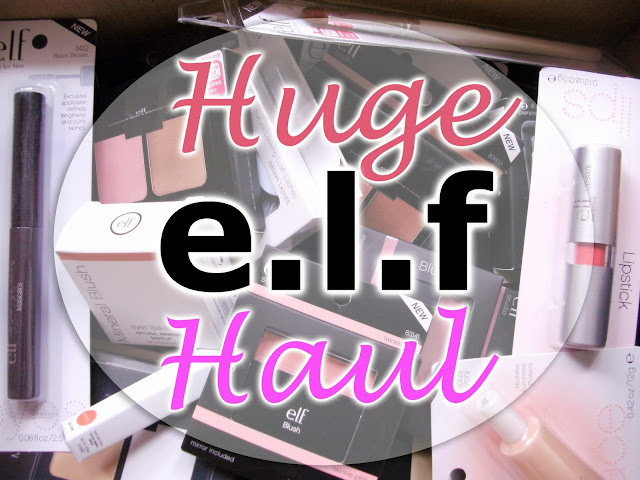 I've done a couple of videos on this e.l.f haul which you can find at the end of this post in case you are interested in seeing the products I purchased in a little more detail. 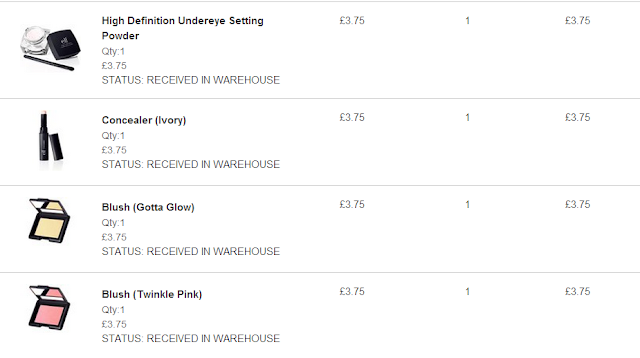 For the rest of this post I thought it may be interesting to show you all of the items I chose to purchase, so please feel free to go ahead and have a good old nosey through my order list! 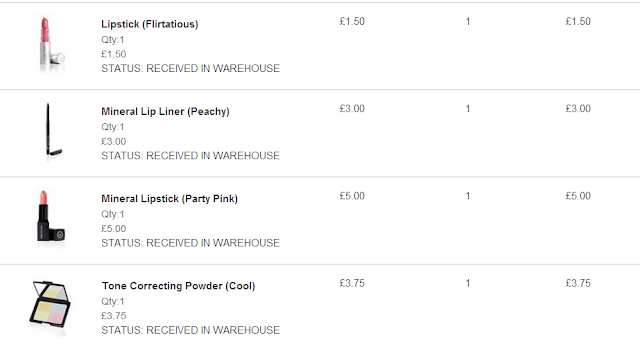 So that's everything I ordered from e.l.f! Thanks for visiting my little blog. Please feel free to comment below and include a link back to your blog if you have one so I can come and visit you!